Summer is here, hence we've got the longest newsletter to date. There's so many tracks being released each week. Can't complain though. We have a couple of New York influences for this newsletter today: Dave East, Nas, Desiigner, Caleborate, Thutmose, and more. Let's go! 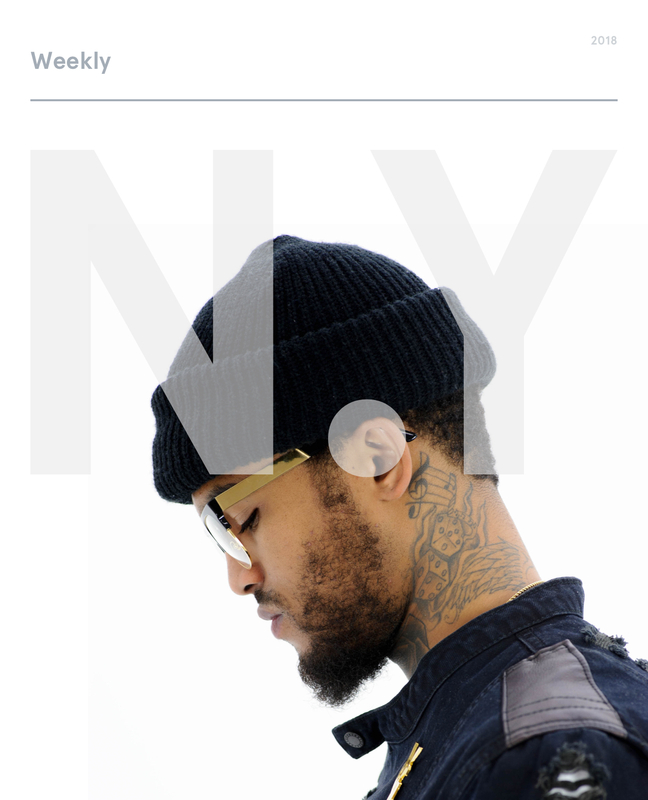 He's been featured before: Dave East comes with his nasty flow and Harlem stories once again. This time he brings his teacher: the legendary Nasty Nas. Soulful, still hitting hard with this inviting track titled "NYCHA". Thutmose is an up-and-coming rapper from New York. He blew up fast with his remix of the Kendrick Lamar track. He's here with a up-tempo rap track to shine bright on his fast lyrics. Also shamelessly named himself after the great pharaoh. Let's see if he reaches the same height as the former ruler of Egypt. Listen to Ride With Me. Dave East. Again. Now linking up with the timeless T.I who brings the southern flow on this heavy Friday track. This might be my favourite track of this newsletter; perfect match of beat to his weirdly sounding voice. He has that ear to create a nice temperature around his verses and still bridging nicely into his hook. It's not a misspel in the title. I guess he was smart enough to change his name enough to be google friendly and not be on page 44 - because "Saint John" is pretty taken, in google search optimization terms. Anyhow, SAINt JHN brings the slower tempo to this weeks newsletter. It's a powerful rap and R&B mashup with a hook that follows you when the track has ended. He has been in incognito mode since he blew up with "PANDA", releasing a mixtape here and there, but without getting that major success that "PANDA" brought. Being signed to Kanye West music label, G.O.O.D Music, we'll see how far they can take him. He has some of the greatest producers backing him; Kanye West and Mike Dean. This latest EP is a preview of his album that is supposed to be released shortly. Listen to LA to NY. This has to be a Lil Uzi Vert song originally, but bought by Playboi Carti: because it's the classic Lil Uzi sound all over this track, which makes it so great: that feel good vibe and perfect amount of auto-tune and speed. This is from Playboi Carti's album that was released last week. Did he have his momentum with his last year hit "Magnolia"? Perhaps. He does well on this track though. I believe he's actually sampling Kanye West on this track, and it work wonderfully. He released this as a solo track at first but then the southern legend Big KRIT heard of it and jumped on the track with a great feature. It's a classic southern soulful vibe to the track that is perfect to the Sunday coffee. Ooooouh, this is T.I with his famous flow to just walk over a track, using every drum and key to make the most of a beat. It's just next level. And then we have the great North Carolina rapper Rapsody coming in with a perfect bridge by slowing down the tempo and then going straight in with that perfect bumping flow. This is the soundtrack to Rapsody — a Netflix series that I'm about to check out. Listen to Care To Say About It.